Our basic packages offer a useful mix of well-integrated modifications to produce handier, more flexible revolvers. Please note: In the interests of dependability and improved function, we will automatically add freewheel pawl modification (cat. no. B102) to trigger tunes on New Vaqueros, New Model Flat Tops and any other models with the new indexing pawl system. The indexing function will be retained but can be deactivated on request to provide a true free-spin pawl at no charge. Where a conversion includes rebluing the parts set, price is for gun in excellent condition with minimal bluing wear and use. Abused guns showing excessive dings, nicks and bluing wear will incur extra costs. Likewise stainless guns are rebrushed to best appearance. Abused guns will incur extra costs. 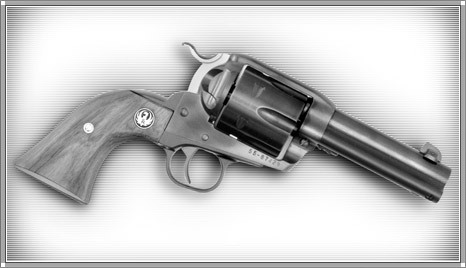 Please note: Both of the ‘Perfected’ Bisley packages are suited to most any Ruger single action and can also be performed without cutting the barrel where a longer barrel is preferred. ‘Perfected’ Bisley #3 Dedicated to the factory Ruger 5-shot .454 and .480 Bisle, the No. 3 package includes all of the modifications from the No. 2 package but adds a dedicated locking base pin to match the factory base pin lock recess in the barrel. In addition, a hidden recoil lug for the ejector housing and a special housing screw and clamp are fitted to eliminate ejector screw failures common on guns with severe recoil. Please note: the addition of option no. B250 is necessary; we use typical factory ammo or equivalent for testing unless otherwise arranged. RS04CAL $450.00 Optional simple caliber conversion on above, including related barrel and cylinder work and remarking receiver caliber designations. 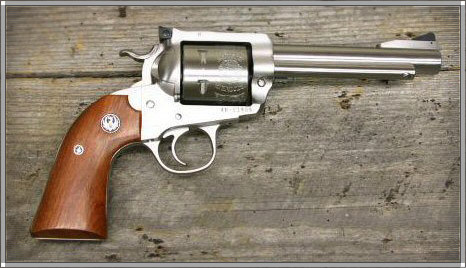 Popular caliber choices include .44 Special and .45 ACP. Please note: High-gloss stainless Vaquero will be refinished to a factory-style brushed stainless finish. We do not offer a high-gloss finish. · Bisley hammer fitted. 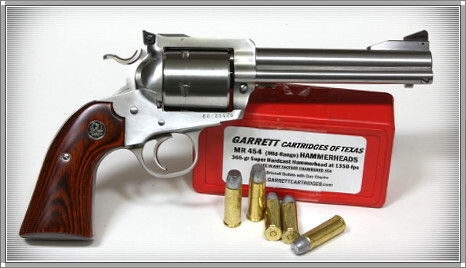 Please note: Blue New Model hammers are no longer available so stainless parts will be used, regardless of gun finish. On Old Model guns, only blue hammers are available. RS04CAL from $495.00 Optional simple caliber conversion on above, including related barrel and cylinder work and remarking receiver caliber designations. 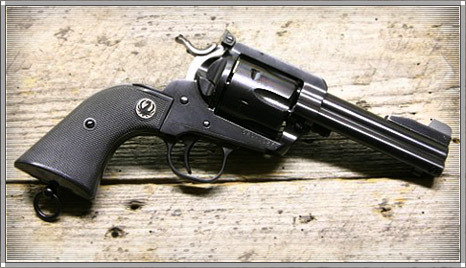 Popular caliber choices include .44 Special and .45 ACP. Please note: Old Model guns will utilize either Power Custom or Clements Custom Gunsmithing Bisley spur hammer as available; cost is an additional $150.